The GTAC Disability Swim meet provided an opportunity for Athletes Without Limits swimmers to compete together with physically disabled Paralympic swimmers for the first time. Swimmers Maria D’Andrea and Gail Morning traveled to Cincinnati last month to compete in the 7th Annual Greater Toledo Aquatic Club (GTAC) Disability Open Swimming Championships, sanctioned by both USA Swimming and the International Paralympic Committee (IPC). While the meet organizers have always welcomed athletes with any disability to compete, what makes this year’s meet different is that it is the first time US athletes with intellectual disability (Class S14) could count their performance toward making the US Paralympic team. Pennsylvania swimmer Maria D’Andrea is getting closer to making that standard with a very strong performance in the 100m Freestyle. D’Andrea has her sights set on the London 2012 Paralympic Games and plans to train hard for 2011 US Team qualifying events. Both D’Andrea and Morning achieved personal bests in at least one of the many events they competed in throughout the weekend. The meet featured top North American Paralympians and many records were set: Summer Mortimer of Ducks Swimming, Ontario, Canada, set a World and Canadian record in the S10 Class in the 200 meter Backstroke (2:26.89) and the 50 meter Backstroke (32.53). Katarina Roxon, S9, of Newfoundland, also set a Canadian record in her 50 meter freestyle (32:17). 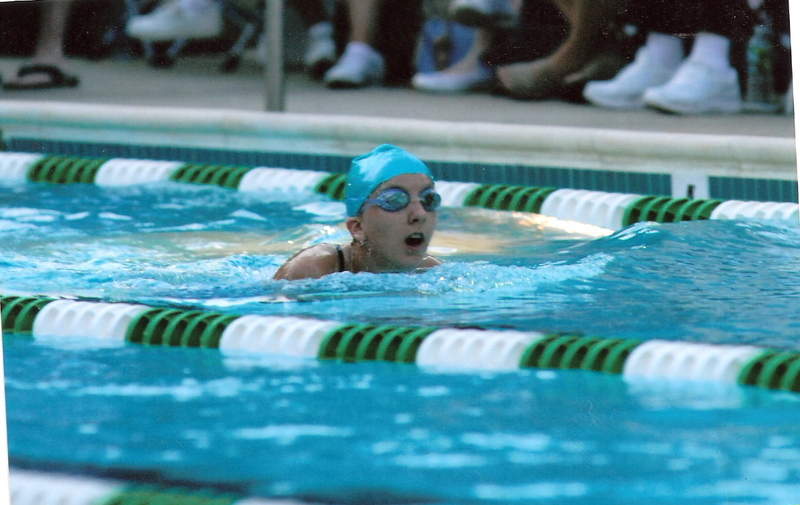 US records were set by Taylor Hetrick, S11, in the 400 meter IM (9:15.53), while Cheryl Angelelli, S4, broke the US record in the 100 meter Backstroke (2:23.20). Meet promoters welcomed all new swimmers who wanted to learn more about Paralympic opportunities and US Paralympic coach Dave Thomas answered questions in an informational session.New and experienced swimmers celebrated together at the traditional Saturday night social, and US Paralympic coach Dave Thomas had a full house at his informational clinic at noon the same day. Athletes Without Limits looks forward to traveling with more S14 swimmers (intellectual disability) in 2011. The meet is set for May 21-22, 2011. Click here for more information.